Categories: New Releases 2017, LARGE FORMAT EFFECTS. 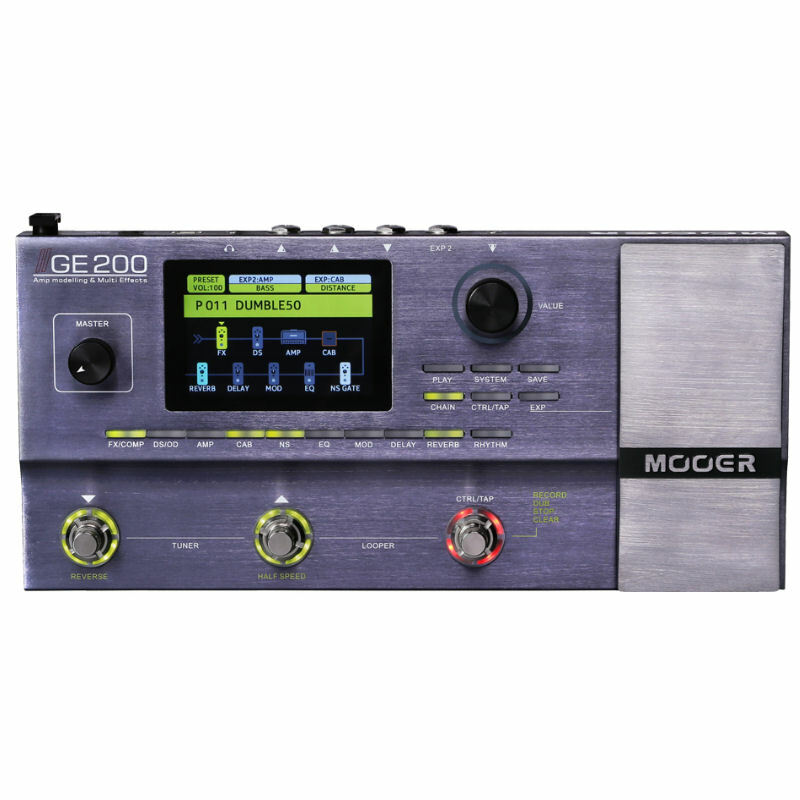 Tags: delay, effect.mooer, eleclady, guitar effects, looper, moen, mooer effects, pedals, reverb, spark, stompbox, tone city, trelicopter. Rod Francis is the Author of this work. 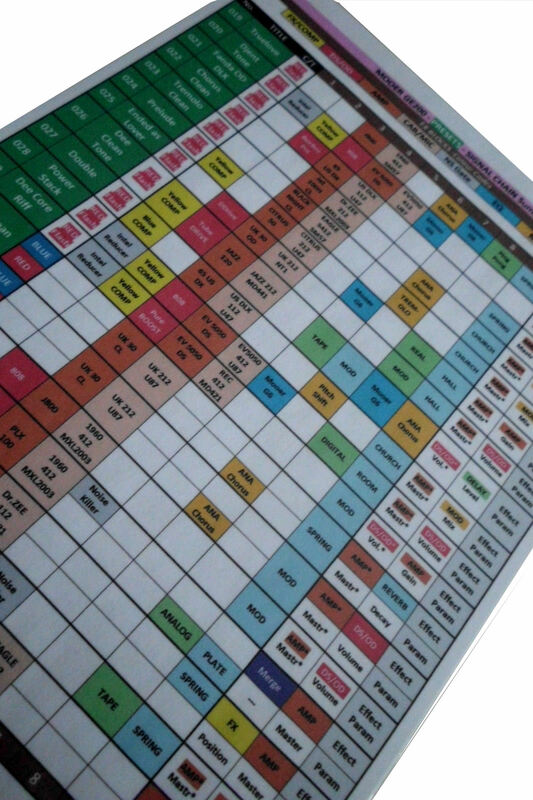 It is the product of many hours painstakingly gathering data about each preset via the unit’s controls & display screen, then transforming the information into a structured and presentable document format. There are 150 PRESETS recorded in this case. 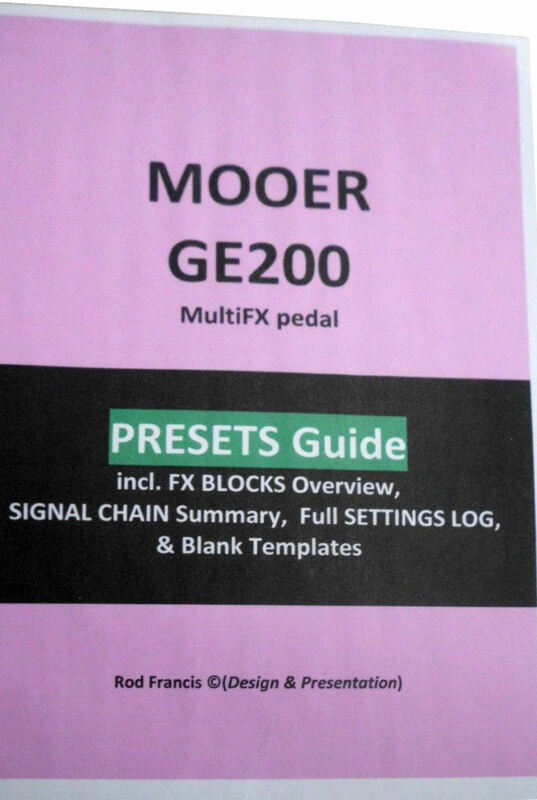 It will be useful as a ready/easy reference source for any MOOER GE200 user who wishes to avoid having to trawl through the source hardware screen and menus for this information. 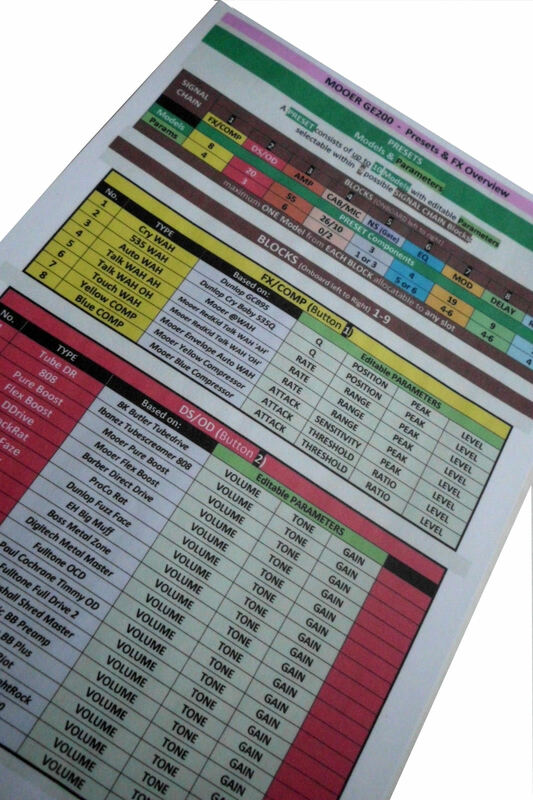 See the pictures showing format, style and type of information shown. Apologies if the pictures are a little grainy. 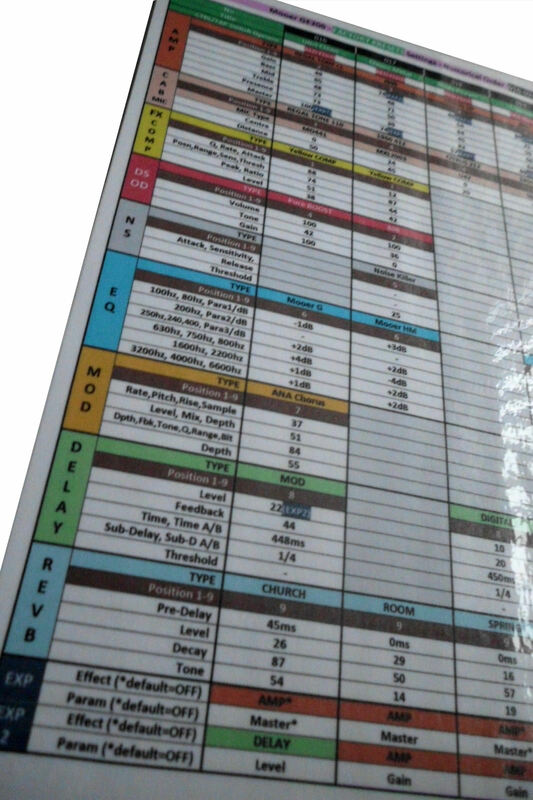 The actual Printed documentation you receive is perfectly clear and full color. N.B. All of this Data has been collected, collated and typed solely by Rod Francis and is therefore subject to the obvious warning to readers ……. there may be errors in reading, interpretation and transposition. However, I am confident that the vast majority of content is extremely accurate. 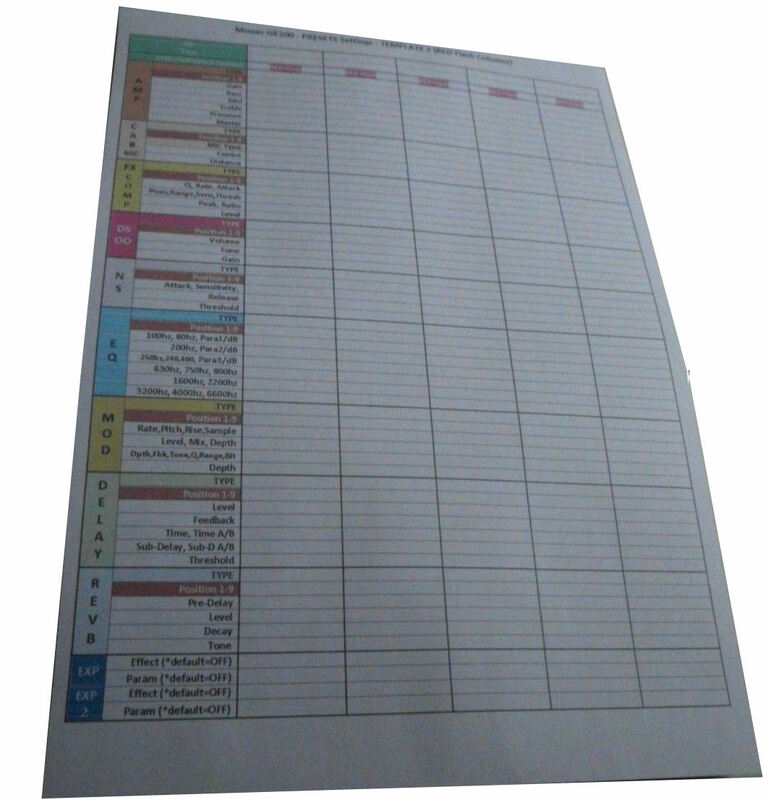 I will send you the above document as a Printed Hard Copy Manual in FULL Color approximate 50 pages. THERE ARE NO REFUNDS,RETURNS ACCEPTED FOR ANY REASON ON THIS MANUAL FOR OBVIOUS REASONS,YOU MAY NOT COPY AND DISTRIBUTE ANY COPIES OR PART OF THIS MANUAL OR WORK. I am a ‘hobbyist’ guitarist who only took up playing as a retirement hobby a few years ago. Part of my enjoyment of my hobby is trying out new gear. I have bought, used and sold an enormous range of stuff over recent years. 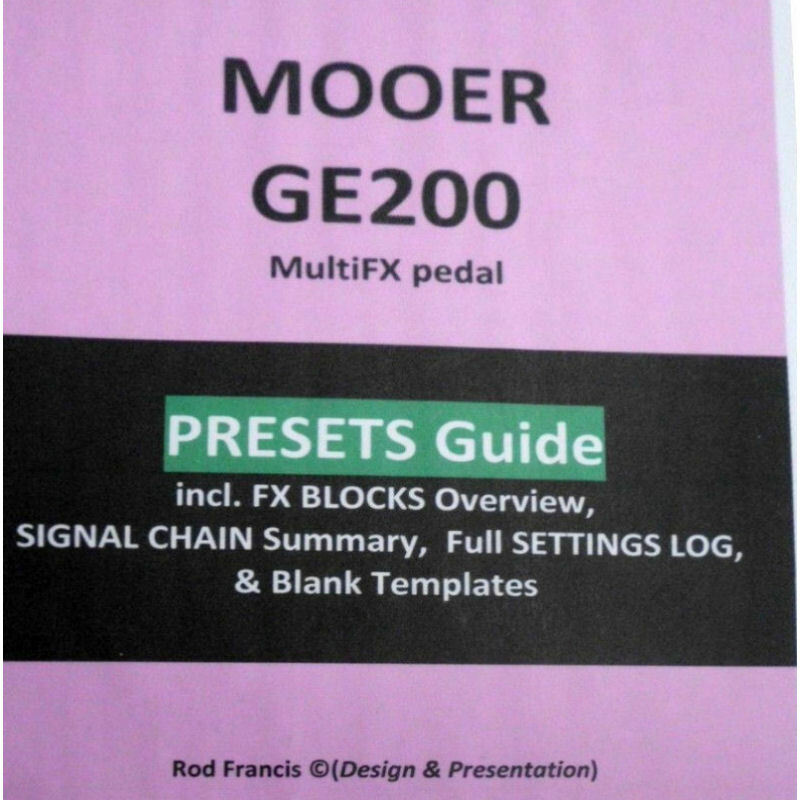 When it comes to multi-FX pedals which include factory presets (most do) I have always had a compulsion (and the time) to record the data for ready reference purposes, just as in the case of the above.